A recent head-on car accident sent three local teens to the hospital. Two of them were even transported with life-threatening injuries. Just before 10:00 a.m., dispatchers received a number of 9-1-1- calls about two vehicles that hit head-on on Holliston Street. The Medford car accident happened just south of Fairway Lane. According to The Milford Daily News, a 17- and an 18-year-old girl were in one of the vehicles while a 16-year-old boy was in the second vehicle. After the collision, both motorists were stuck inside their vehicles. The boy was from Holliston and the girls were from Medway, according to Police Chief Allen Tingley. Officers and emergency response teams from four separate departments responded to the accident. Hydraulic rescue tools were used to get the teens out. Our Boston car accident lawyers understand that we’re entering the season in which teens have the highest risks for accidents on our roadways. They’re being let out of school for summer break and with more teens behind the wheel on our roadways, the risks for accidents involving them increase dramatically. Parents are urged to step in and to talk about the importance of being safe and responsible behind the wheel. Talk with them about the consequences of dangerous driving habits. 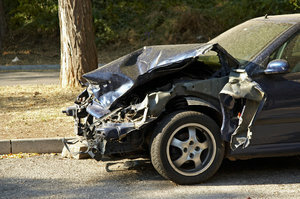 Car accidents continue to be the leading killer of teens in the United States. It’s important for us to talk with these young drivers and help them to develop safe driving habits. Hitting them with this knowledge early on can help to create life-long habits that can help to keep them safe behind the wheel. The drivers of the two vehicles in the Medford accident were taken via helicopter to the UMass Memorial Medical Center in Worcester to its trauma center. “We had people trapped in two separate vehicles, and then the scene at the middle school for the helicopters’ landing zone, so it stretched our manpower,” said Fire Chief Paul Trufant. Even the ambulances and the paramedics came to the scene of the accident with Advanced Life Support. According to initial investigations, the male driver was heading north on Holliston when he crossed over the center lane of traffic, went into the southbound lanes of traffic and hit the females’ vehicle head on. There was a third vehicle that was involved in the accident, but that person was not injured. Preliminary investigations reveal that the driver was trying to pass another vehicle when he veered into oncoming traffic and hit the other vehicle. Just in April, a 22-year-old man was killed on that same stretch of road. In that same accident, another 22-year-old was seriously injured. In this accident, officials with the Massachusetts State Police Accident Reconstruction Unit were on the scene until nearly 3:00 a.m.
As we’ve been talking about, teen motorists are at some serious risks for accidents during this time of the year. Talk to your teen about the risks they’re facing on our roadways and make sure they understand the consequences of dangerous driving habits. Boston Injury Attorney Jeffrey S. Glassman offers free and confidential consultations to discuss the rights and the cases of victims and the families of victims. Call 877-617-5333 today to set up your appointment.